IBM and SAP SE have come together to develop a solution that they hope will boost customer experience and profitability in the retail and consumer packaged goods industries. The solution will primarily seek to improve planning as well as execution in physical stores by enhancing the use of real time data. The collaboration between the two companies builds on a transformation partnership inked last year. The latest agreement, however, seeks to bring together unique data sources that will provide valuable information to be used in decision making while also providing near real time market signals. The solutions under development will leverage IBM Metro Plus to offer hyperlocal insights on, weather traffic and demographics which should help address challenges like on-shelf availability and demand forecasting accuracy. SAP on its part will bring together multiple data sources on its cloud platform to allow users make immediate actions based on the insights. “Through this exciting collaboration between SAP and IBM, retailers and consumer products companies today can respond with speed, precision, and confidence to locally relevant events. SAP S/4HANA includes capabilities to enable users to execute end-to-end business processes in ways that other systems cannot,” said Lori Mitchell-Keller, SAP global general manager. IBM has already trialed a prototype of the solution in more than 100 stores in multiple American stores. Initial indications Is that the solutions can improve forecasting accuracy of volatile products by 75%. A typical application of the solution could be during the New York Marathon whereby a sales operation manager for a beverage company can use the solution to forecast sales along the running route. The solution will, in this case, allow the manager to factor in traffic flow information at different points as well as the impact of weather forecasts in ascertaining the kind of demand that sales reps can expect. 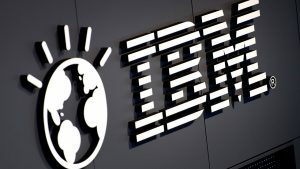 IBM and SAP SE also plan to collaborate on the development of a prepackaged, ready-to-use, end-to-end reference solution that can be customized to meet various industries to accelerate time to value. Access to hyperlocal data understood and reasoned by IBM cognitive services could help retail business using the solution gain a competitive advantage in the market. Information on offer with the solution help retailers and consumer products companies respond with speed and precision to relevant events.